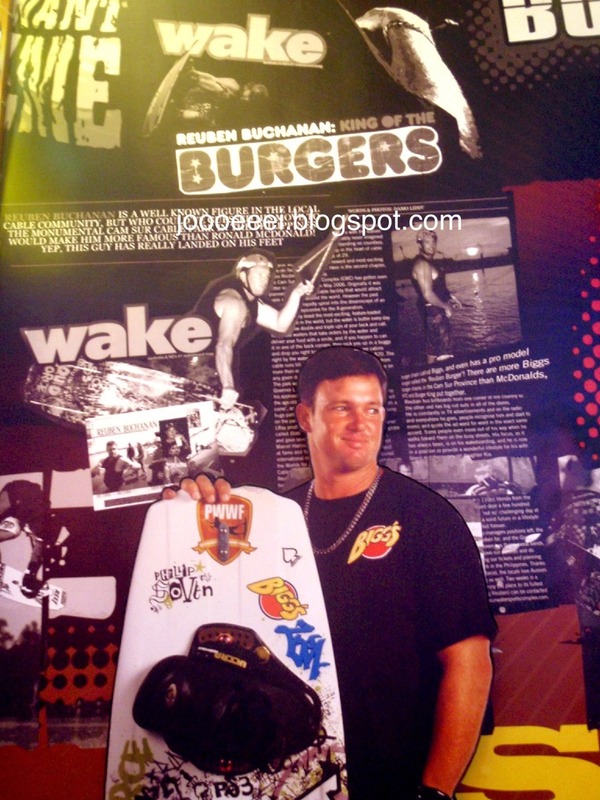 My Birthday Trip (part 3): Naga - Cam Sur Water Sports Complex and Bigg's Diner. 1. Drive to SLEX and exit at the farthest point. 2. Turn right to take the road to Batangas. 3. Drive straight up to the Sto. Tomas junction, and turn left. 4. Drive straight onwards, passing thru Alaminos, Laguna. 5. You will next pass thru San Pablo, and then you will hit the Quezon Boundary (Villa Escudero). 6. You will pass thru Candelaria, Sariaya, Tayabas junction, and then Lucena. 7. At the Lucena junction, take the left side of the road (diversion road) instead of going into Lucena City. 8. Onwards to Pagbilao, you will pass thru a sign that says "Bondoc Peninsula". Don't take that road. Instead, move on and you will shortly hit "Eme" or more commonly known as Bitukang Manok,(a zigzag road within the Quezon National Park). 9. From Pagbilao, you will hit Atimonan. 10. Next, you will pass through the picturesque town od Plaridel (formerly called Siain). You will see beach resorts on your left then you will hit Gumaca. 11. After passing through many more Quezon towns, you will hit Sta Elena. Andaya Highway (formerly called Quirino Highway) will be to your right. This is a shorter route, instead of driving straight ahead to Daet. 12. Proceed on Andaya Hiway until you find yourself back in Quezon, just passing through the edges of Tagkawayan. 13. Shortly after, you will find an arc that says Welcome to Camarines Sur". Naga City is 30 minutes away from that arc. Camsur Watersports Complex is the best tourist destination in Naga. I first went here when it opened in 2007. A few years later, here I am again. "Camsur Watersports Complex is a unique watersports park designed for wakeboarding, wakeskating and waterskiing. For beginner riders to the professional wakeboarders and skiiers from all over the world, CWC offers a 6-point cable ski system, coupled with restaurants, sand bars, spas, pro-shops and grand stands to hold guests. Riders can also enjoy their favorite water sports at night as the park will be equipped with spotlights that allow for it even to be open on evenings." The sky was a bit gloomy when we got there since storm Chedeng was just looming over the horizon. CWC has different types of lodging to fit every budget. Rooms range from P1,100/$22 for the airconditioned tiki huts to P6,250/$125 for the Villa Rey Villas. Kat, Paul, T and I originally reserved the Villa Del Rey wooden cabins but switched to the Villa Del Rey Cabanas because the cabins didn't have TV. Boys and their NBA games. Tsk. Although the cabin looks nice from the outside, the inside wasn't as well-maintained. The room and the bathroom were not that clean and the paint from the walls were chipping off. Plus, the blinds on the windows (both sides) were broken so we had to manually flip the blinds one by one unless we wanted people from the outside to see us. The best attraction in CWC is the watersports park but it was closed for repairs that day so we weren't able to take photos. Plus, our bodies were still aching from surfing so we decided to just go around the city. Bigg's Diner is the biggest food chain in the Bicol Region. But that wasn't always the case, Bigg's Diner started out as a take out window under a different name. And after almost 25 years and couple of name changes later, look at where Bigg's is now. Here's a look at their menu. The Bigg's branch we went to was the one in SM Naga City. It had less of a diner feel than their Centro branch I visited in 2007, maybe because this one was inside a mall. T and I got an Extreme Supreme Burger EACH and a Basket of Fried Chicken to share. how are you dear ?? MICHELLE. Unfortunately, Im sick today :( Thanks for asking! wow! na-miss ko ang Biggs... hehehe!!! Those cabins look so cute and peaceful! Thanks for dropping by at my blog! I hope I can go back to Naga din :) It was indeed a nice, peaceful place! aww, so glad you had such a fantabulous birthday!! ahhhhh... splendid picture of the Mayon Volcano. 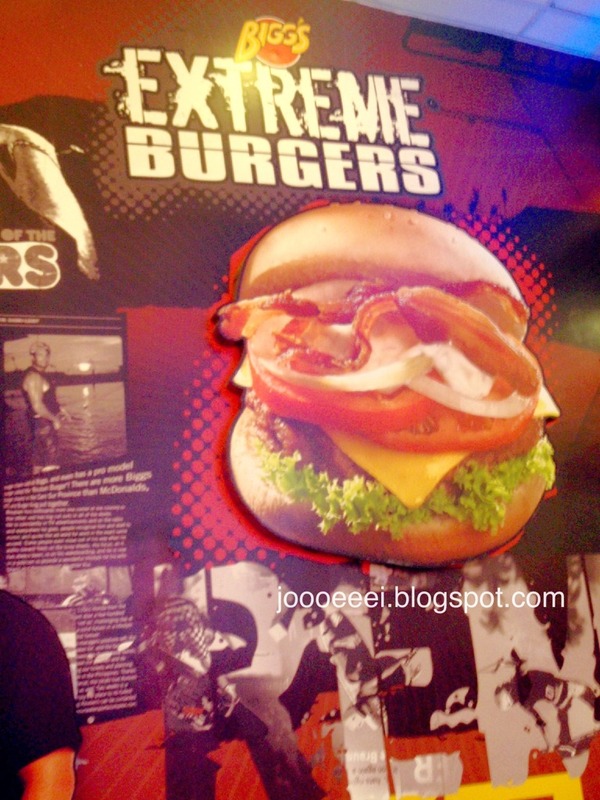 That extreme burger looks deadly and sooo yummy! Looks like you had a great time :) Love the photos! Wow it all looks so amazing, you lucky thing. I really need a holiday bad! Thanks so much for visiting my page! Following you! Follow back? :) Great pics & happy belated birthday!! What a gorgeous place! Wowza! Yay more pics. The supreme burger looks delicious. I followed you my dear :-) on google and twitter so hope to chat with you soon. have a great day! Wow! Lovely! Happy late Birthday!